Local Scottsdale Massage Therapy Since October of 1989. 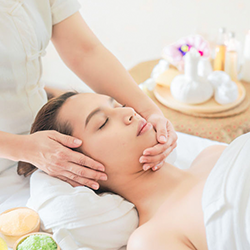 We offer many types of massages to suit your needs. Choose from single, 4-pack, or monthly membership packages. 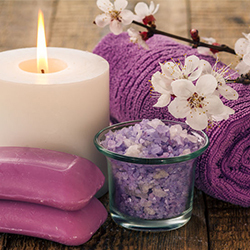 Enjoy these and other Hands of Health Massage Services. I didn't think I could ever feel this good. You DO have magical hands. My headaches are few and far between: and when I do get a headache they are much less severe. When I first came to you I had no idea what a difference a weekly massage would make in my life. I feel healthier & energized. I have found that not only does your therapy help with the pain I have experienced, it's a significant stress reliever also. I am continually amazed at how you seem to have an intuition for finding the sore spots and then taking the pain away. I highly endorse Paul Zarchin as on of the best LMT's in the Phoenix metro area. Consider him for your next massage. You are truly gifted and talented in your profession. Since October of 1989 Hands of Health has been providing high quality and low cost massages to Scottsdale residents. © Copyright Hands of Health. All Rights Reserved. Notice: What is on this web site is for educational use only. You should not use it in any way, shape or manner in substitution for your personal physician, as it is advisable to seek professional advice for any symptoms or pain. This web site and owner assume no responsibility for the use of the information contained herein. Further, Paul Zarchin, L.M.T. and Hands of Health does not accept any responsibility for the accuracy of the information or the consequences arising from the application, use or misuse of any of the information or products contained herein, including any injury and/or damage to any person or property as a matter of product liability, negligence or otherwise.